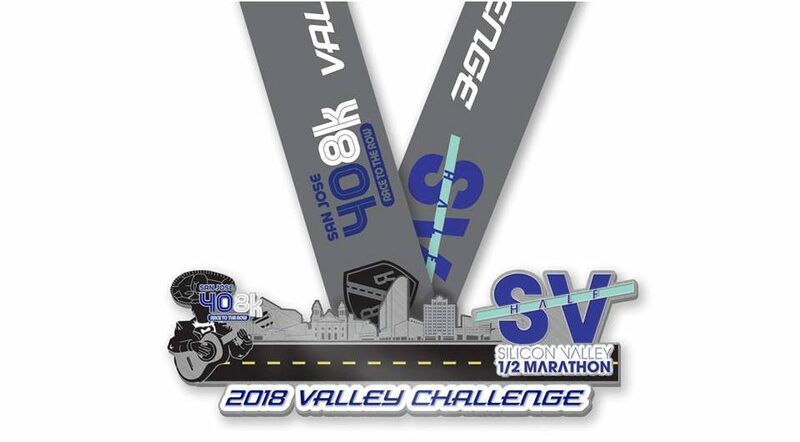 We are all about a good challenge (and challenge medal) so we’re combing the 7th Annual San Jose 408k (that’s 4.97 miles) and Silicon Valley Half event (that’s 5k, 10k, or half marathon) to create the brand new Valley Challenge Double. What do you need to do to rep this special medal? Run the San Jose 408k (virtual running option counts too!) Sunday, March 4th and take part in any Silicon Valley Half event on April 14th or 15th (same here on the virtual running if you can’t make it race day). Signed up for both already? Then you’re all set and you’ll be getting this epic medal right at the Silicon Valley Half finish line! If you’re not all signed up then just click the button below and secure your spot in the Valley Challenge today.